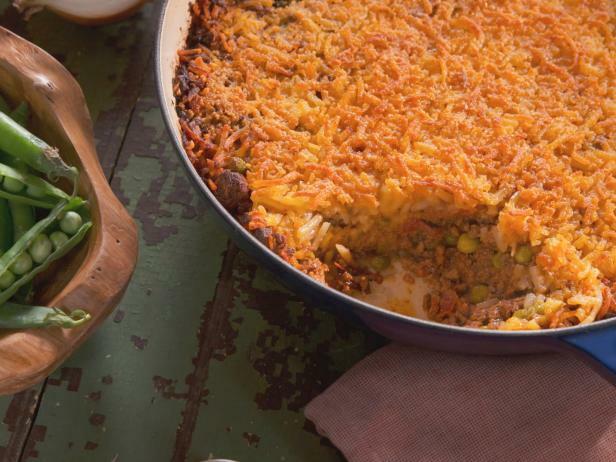 Oh my gosh – tater tot topping on a shepherd’s pie? It’s definitely a crispier texture which would be a nice balance to the meat, vegetable and gravy mixture. But is it a good idea? You can find the full recipe at the Food Network. I do like the idea of the different texture. It’s new and cool. What isn’t obvious from the name is that they’re using hash browns instead of tots. You could shred turnips, sweet potatoes and parsnips for a lower carb version. To save time and increase nutrition, I’d substitute in some of the new Green Giant cauliflower tots. They also have broccoli and broccoli with cheese. I think the cauliflower would be better since it has a milder flavor. But I’d certainly test out the broccoli and cheese. I’ve also found sweet potato fries. You could put those along the top instead. I’d cut way back on the butter. The good news is that they recommended unsalted. You should control the salt based on your palate. I definitely wouldn’t use 80/20 beef without a lot of draining. I’d recommend at least 90/10. You could also substitute in ground turkey or chicken as well as lamb. Or you could make a blend. Just do remember to drain the fat off. 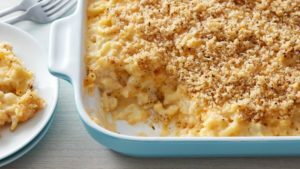 You could also leave off the cheddar or substitute some quality grated Parmesan cheese instead. You don’t need a lot of Parmesan cheese to get a nice flavor. Add in additional vegetables like spinach, rutabagas, turnips, celery root (also known as celeriac), carrots, parsnips, etc. And change up the seasonings based on what’s in there. Sometimes they do me as well. I once put in three bay leaves instead of one because I thought that they were old and it needed more. Big mistake. It wasn’t inedible, but it didn’t have the flavors I was hoping for. I learned a ton from this course from Craftsy – Cooking With Spices: Techniques for Big Flavor. I want to start toasting spices. And I need to find my old coffee grinder and get playing. One suggestion she had was to find recipes with the flavors that you like and see how it’s seasoned. I have a ton of cookbooks and can always look up how to balance the cumin with the other spices. And I made a pork barbacoa that was to die for just by playing.